Thank you to ryanlentforamerica for playing along yesterday! The answer we were looking for was that of our 20th President, James Garfield. 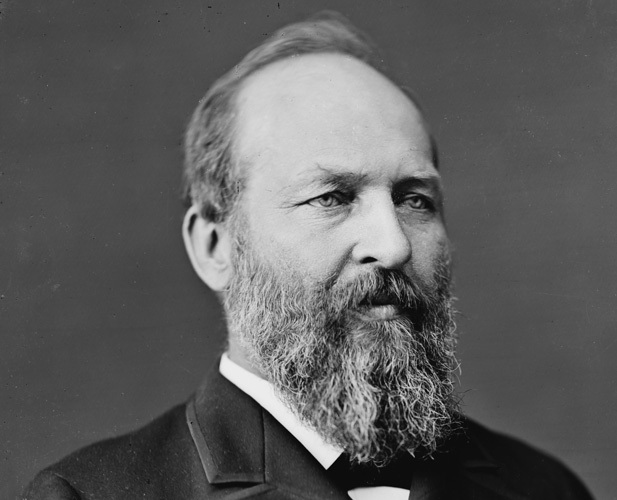 President Garfield served less than one year (March 5, 1881 – September 19, 1881) as president before he was shot on July 2, 1881 in a Washington railroad station by an embittered attorney who had sought a consular post. Mortally wounded, Garfield lay in the White House for about five weeks. During this time Alexander Graham Bell tried unsuccessfully to find the bullet with an induction-balance electrical device that he had designed. Then on September 6, Garfield was taken to the New Jersey seaside. For a few days he seemed to be recuperating, but on September 19, 1881, he died from an infection and internal hemorrhage. I thought I would spice things up a bit tonight and offer you a chance to answer a presidential trivia question. This president was said to be able to write Latin with one hand and Greek with the other – at the same time! Who was it? And there are only 43 possible answers to this one, so it shouldn’t be too bad, right? Leave a comment if you think you know the answer. On Saturday, I will be offering our first gift for someone who answers correctly! It will be a weekly thing, so be sure to keep coming back and answering questions. If I need to do a tie breaker, I may award it to the person who answered the most questions correctly throughout the week! Good luck and have fun! 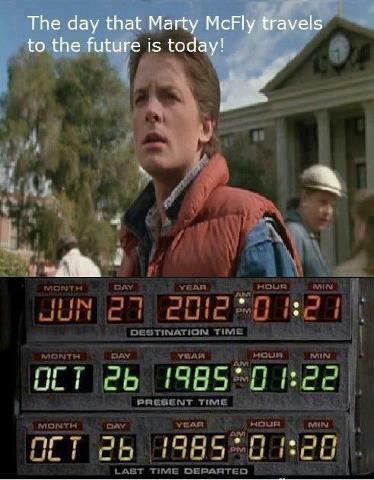 Welcome to the future, Marty! I can’t believe I missed this – but one day late isn’t too bad. Sorry I am a little late with your answer. I was trying to find another host for just my trivia questions. So far that hasn’t worked out. Who was the first actor to portray a James Bond villain? 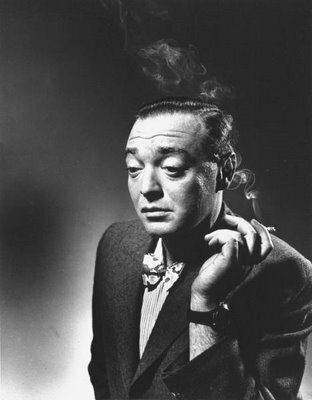 And here is your answer: it was the incomparable Peter Lorre! Not only was he known for his unforgetable characters but also for his sense of humor. Got to love a guy with a sense of humor! Peter would have been 108 on June 26th. I hope I have not discouraged anyone yet – since no one has even attempted a guess at my trivia!! So I have decided to make this one a little bit easier by making it multiple choice. What’da ya say? Shall we give it another run? This actor has stated in interviews that he turned down several film roles before he accepted the lead role in this 2008 film. Among the films he turned down were the mega-box office hits – Pirates of the Caribbean trilogy. 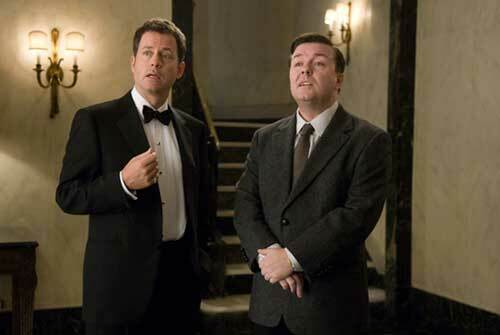 It was Ricky Gervais and the 2008 movie was “Ghost Town “. And if you haven’t seen it, give it a try. It was a very sweet movie! Ok, people, this one is going to be tough but I found it very interesting. Ouch! I wonder if he regrets that decision. Anyway, I am looking for the actor’s name and the name of the 2008 film. 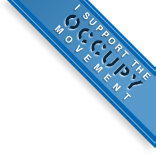 Since this is such a difficult question, I will offer up one hint. This actor is celebrating his birthday today – June 25th! If you think you know the answer, leave a comment! Good luck! !